If you are getting married next year you will not want to miss our roundup of 2018 wedding trends. Enjoy! 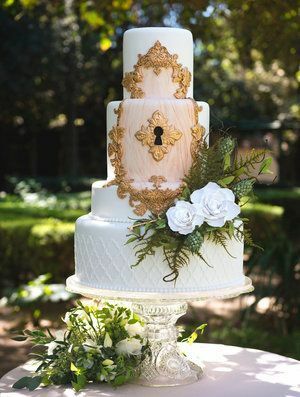 Go minimalistic or go super grand with a vintage enchanted forest wedding and a cake right out of a fairytale. By Gigi Mallatt Events. Brides planning their D-day next year, we know you’ll fall head over heels for these top 2018 wedding trends! 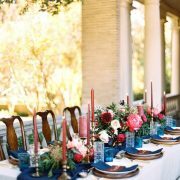 If you’ve been reading our blog, then you know that we keep an eye out for what’s hot in weddings and unveil these trends as we go. Therefore, some of them have already been covered in previous articles. And now we are making our list official. Check out these swoon-worthy 2018 wedding trends! 2018 Wedding Trends: Goodbye Rustic! 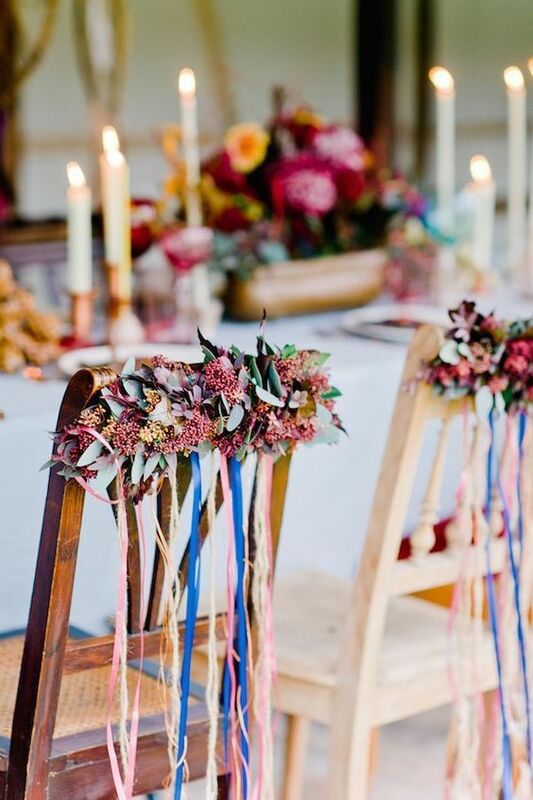 Welcome Woodland Weddings and Boho Folk! We had enough of the barns and the rustic country themes. 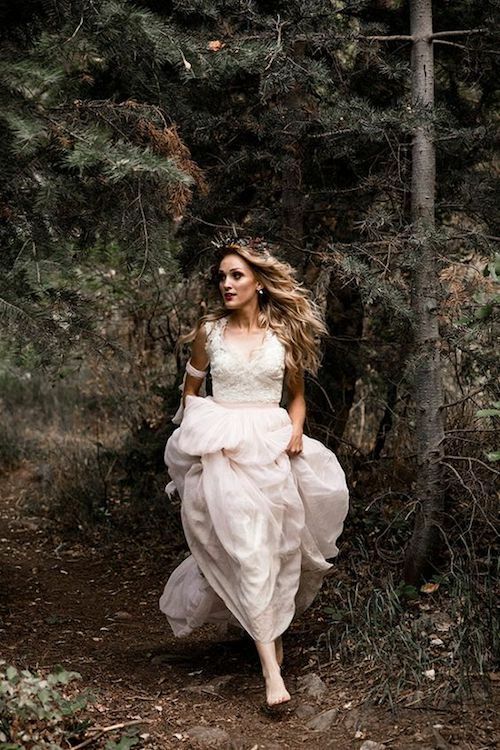 The 2018 wedding trends mark a change towards the ultra romantic vintage glam, the boho folk and the fairytale-like enchanted forest woodland outdoor weddings. Imagine lounge areas with vintage furniture you got from the nearby flea-market, weddings in the desert or at the beach with boho folk touches, and majestic mountains as your ceremony background. Wow, am i right? 2018 wedding trends that steal our hearts. 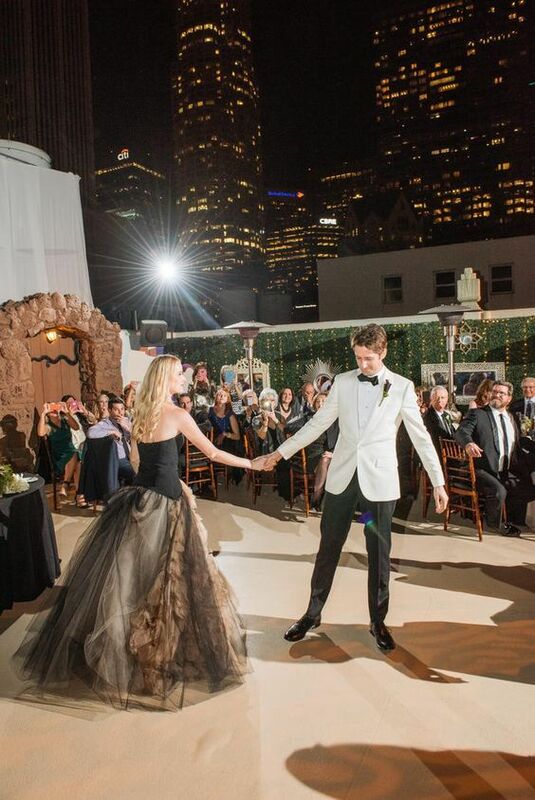 Ultra romantic Emperador color bridal gown at the modern Oviatt Penthouse rooftop in Los Angeles, California. This is my favorite of the 2018 wedding trends. It’s one of those mashups you wouldn’t think they would work together but they do! And how! If you want to follow this trend, pick a raw space as a wedding venue. The more unique, the better. 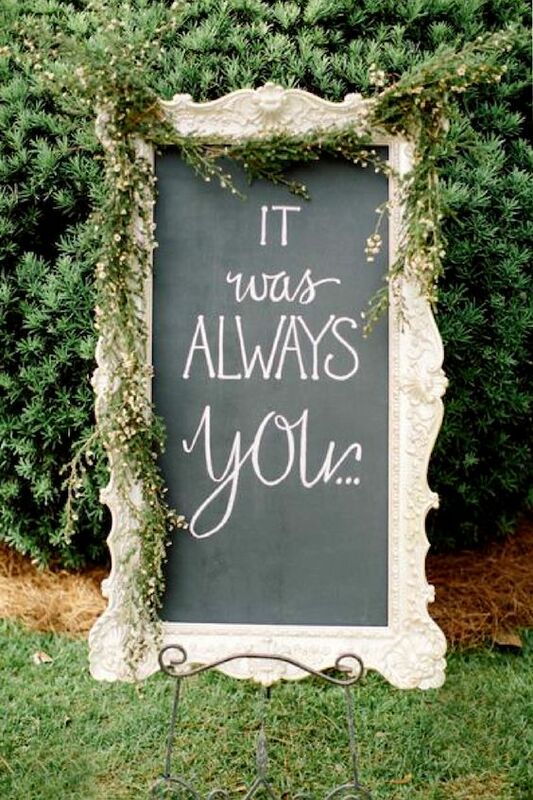 Now, turn it into the most ultra romantic wedding of your dreams with the vintage decor of your choice. No need to fill every nook and cranny with furniture either. Go minimalistic and allow their vast industrial spaces to shine and allow your guests to mingle. You won’t be disappointed! It’s not just vintage, it’s ultra romantic vintage. 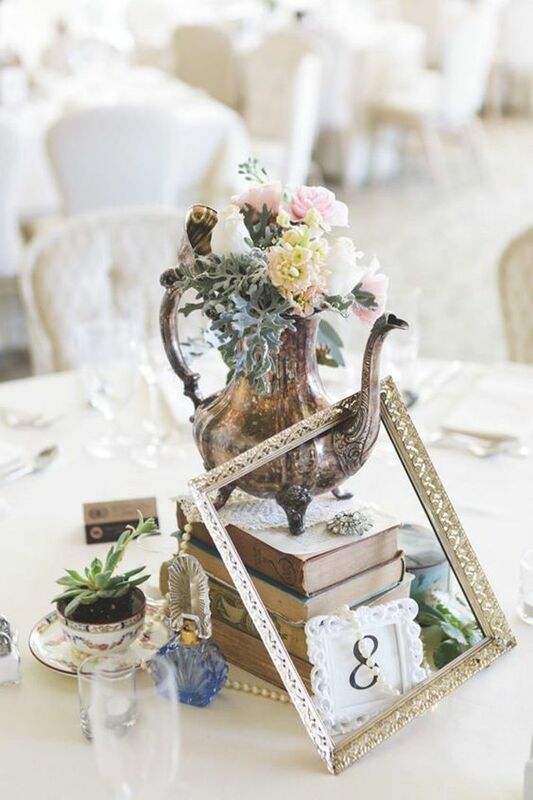 To build this glorious centerpiece get a hold of a silver teapot, pearls, perfume bottles, lace, teacups, succulents and an empty frame. 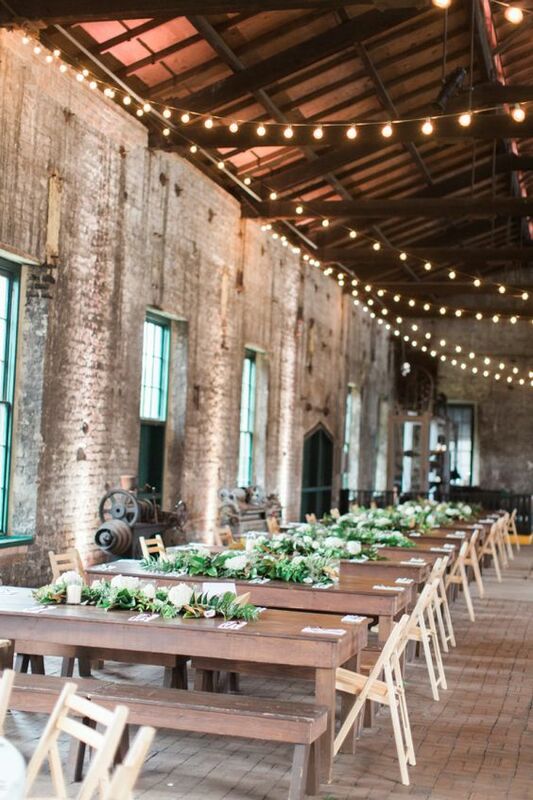 2018 wedding trends: pick the most original wedding venue you can think of, like this train museum with Industrial and minimal reception style. Photography: The Happy Bloom. 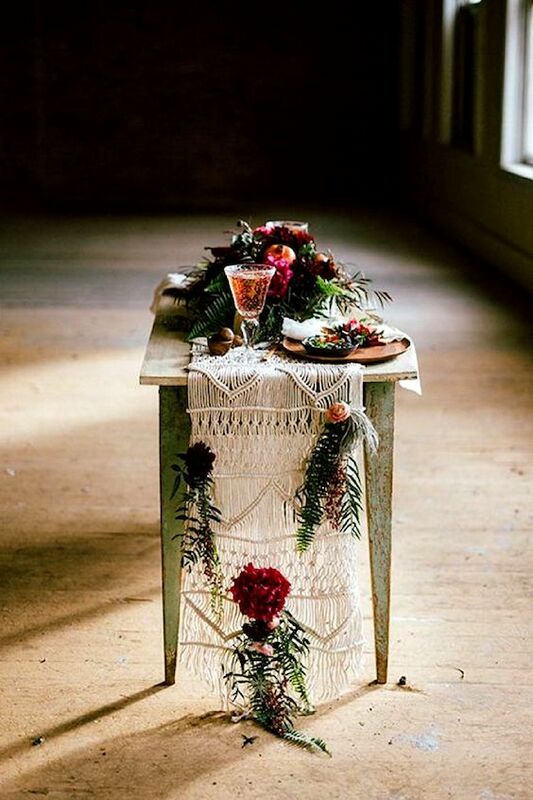 Now this is my kind of table decor, minimalistic with crossed table runners. 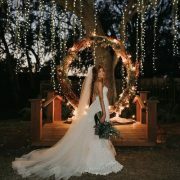 Photo: Cedarwood Weddings. Greenery in not going anywhere in 2018. 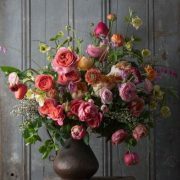 And in line with the ultra romantic vintage wedding theme, flowers are making a comeback. Especially pink and dark red dogwood flowers. Not only because of their dark moody colors (also ultra trendy) but due to its meaning. According to a Victorian tradition, the couple would signal love with the gift of a bloom from this tree. And it’s all about bringing the outdoors, indoors. Hanging hoops with foliage and flowers, glass bell jars and cloche domes with moss and greenery table wreaths. More nature: we will see marble and copper on dance floors, living food stations wth potted plants and even as wedding ceremony backgrounds. This marble and copper 2018 wedding combination is simple, elegant and unique. Wedding wreaths are the new ceremony arch in 2018. Magical woodland enchanted forest weddings, one of the 2018 wedding trends. Photo: Mapping Light Photography. 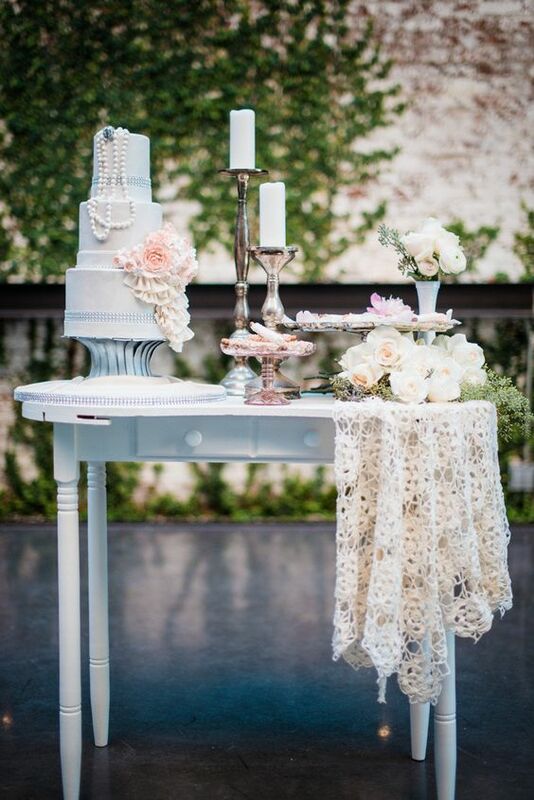 Dreamy vintage wedding cake table at The Foundry, an industrial venue in Long Island City, NY. Photography by Kate Ignatowski. Now that Pantone named Ultra Violet the color of the year, it’s official, moody colors are it! Imbued with an association to love and passion, we will see them adding a glam look to the wedding party and to the reception decor. Bridesmaids can show off a fashionable, almost black, Ultra Violet dress, Groomsmen can add this color to their ties, hankies or suits. And there is nothing more elegant than Ultra Violet candles, both pillar or tapered, depending on the effect you want to achieve. 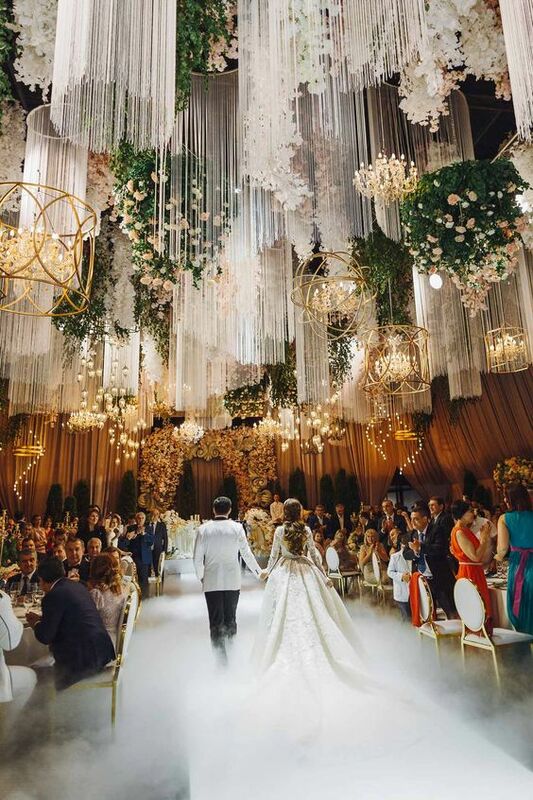 Of course, all moody colors like dark red, moody blue or the new Pantone’s Emperador and Chili Oil, can be used to include these 2018 wedding trends. 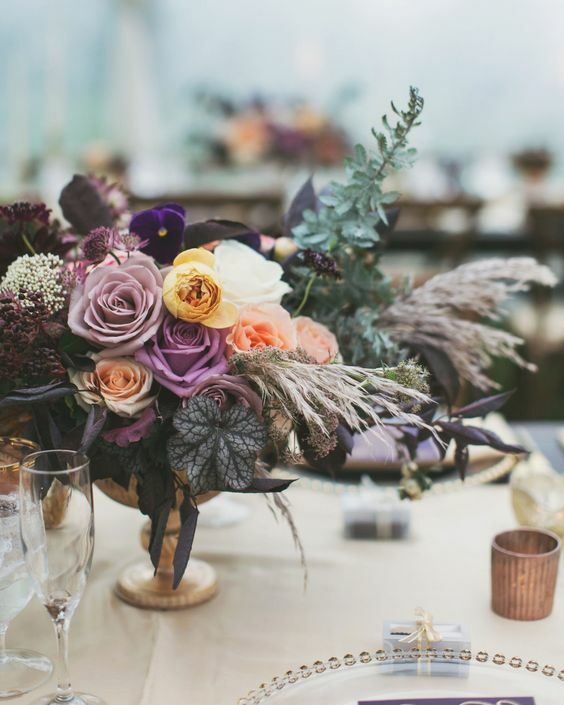 Dark and moody flower arrangements featuring the color of the year, ultra violet, the big trend for 2018. Photo: alixannloosle photography. 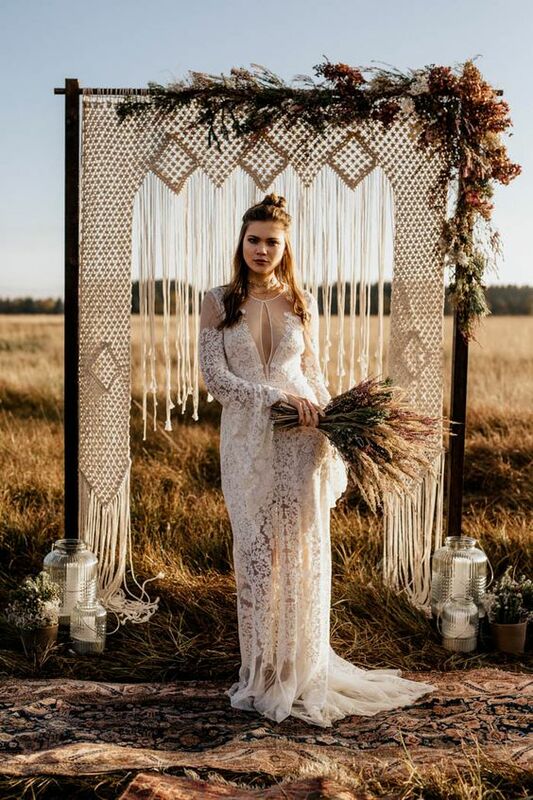 A stunning macrame arch and a fab vintage lace dress make this elopement a boho folk dream come to life. Photo: Chris and Ruth Photography. 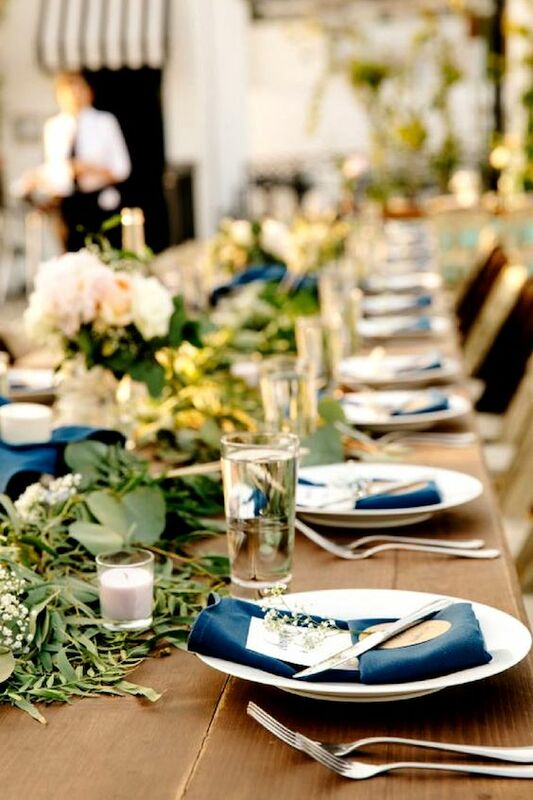 Avoid the wedding planning altogether and elope or host a pop-up wedding! 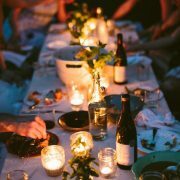 You can always throw a fabulous bash after you return from your honeymoon. We assure you nobody will mind! We have already covered all there is to know about pop-up weddings on this article. Feel free to check it out if this is what you fancy or just plain curious. Beautiful eclectic intimate boho wedding in Germany by Nadia Meli Photography. Sleeveless and embellished with lace for a romantic touch with a modern fit and flare sheath silhouette. Perfect for a city bride by Anna Campbell, 2018 wedding dress collection. Interactive areas or activities are now a must and the more unique, the better. Different interactive bar ideas or self-serving stations will allow your guests to break the ice, get to know one another and make the party way more fun. Think about how you can surprise and delight your #framily. Needless to say, wedding after-parties – also trending in 2018 – are a great opportunity for increased guest interaction. 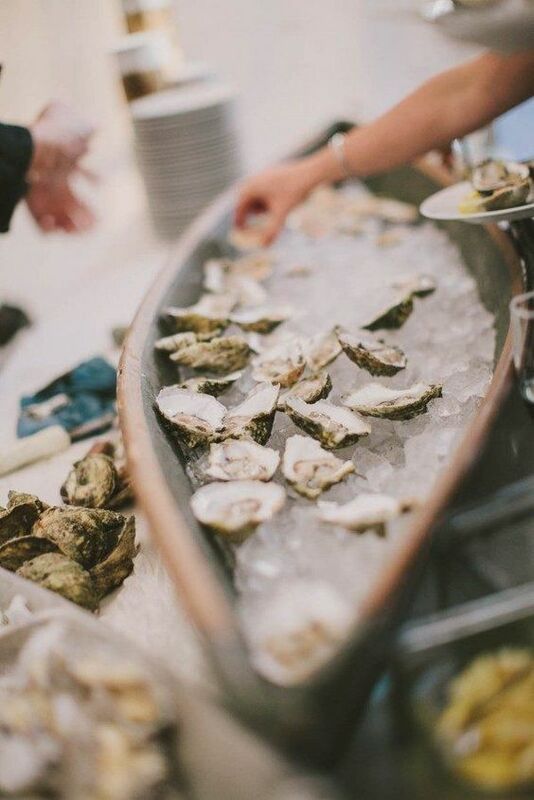 Check out this guide to throwing the ultimate wedding after-party ever! 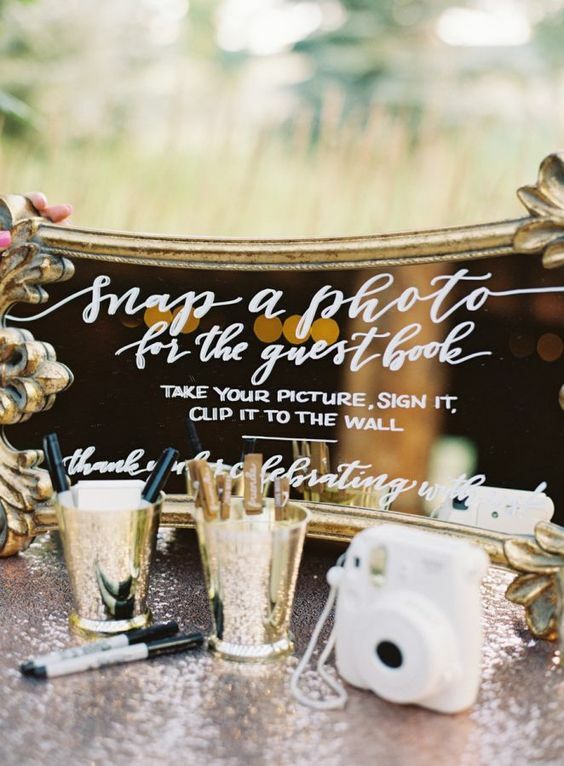 Interactive elements will get your guests mingling and the party started. 2018 wedding trends. 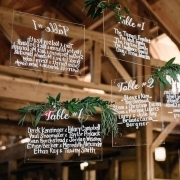 A colorado rustic vintage glam wedding and a very interactive guest book. Bring out the polaroids! 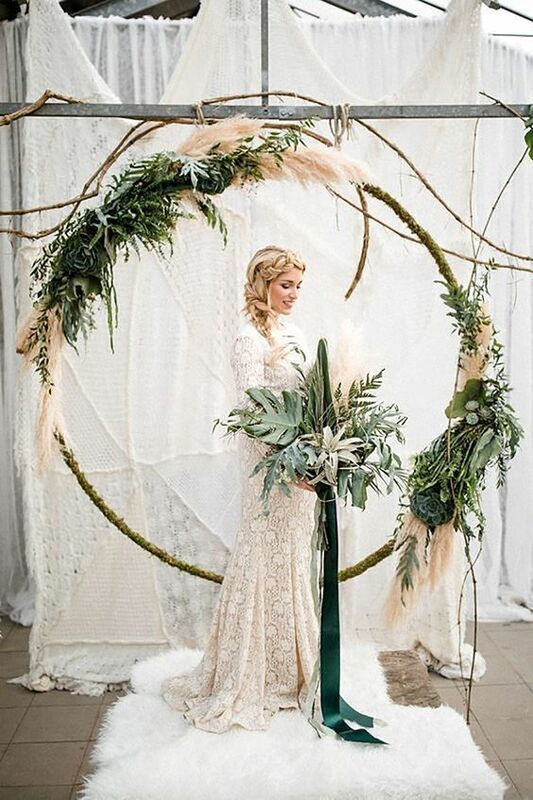 Be it a wedding in the woods or an ultra romantic vintage industrial affair, the natural bridal look is all the rage in 2018. That does not mean you won’t have to pick a hairstyle or get away with no makeup. Your will have to look effortlessly done, and your natural beauty perfectly highlighted. Your wedding photos will really thank you for it. You’ll see. 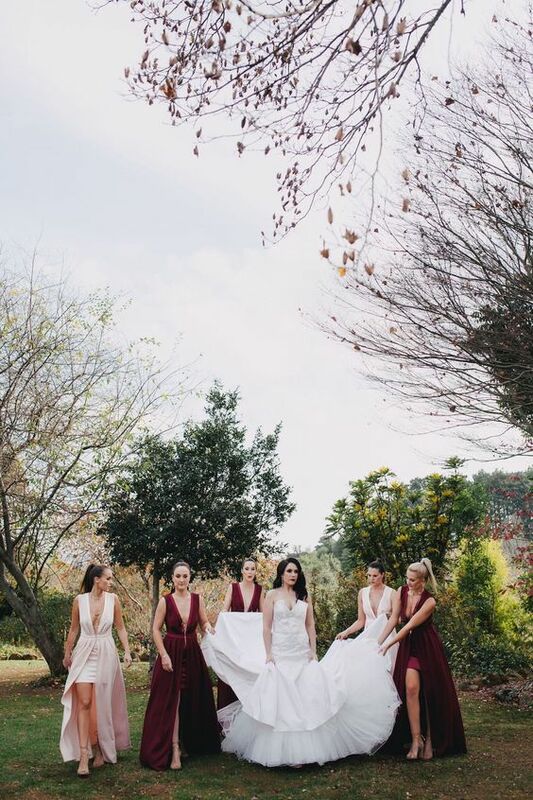 Last word on 2018 wedding trends, bridal and bridesmaids separates are a total go and so are bridal outfits with pants. 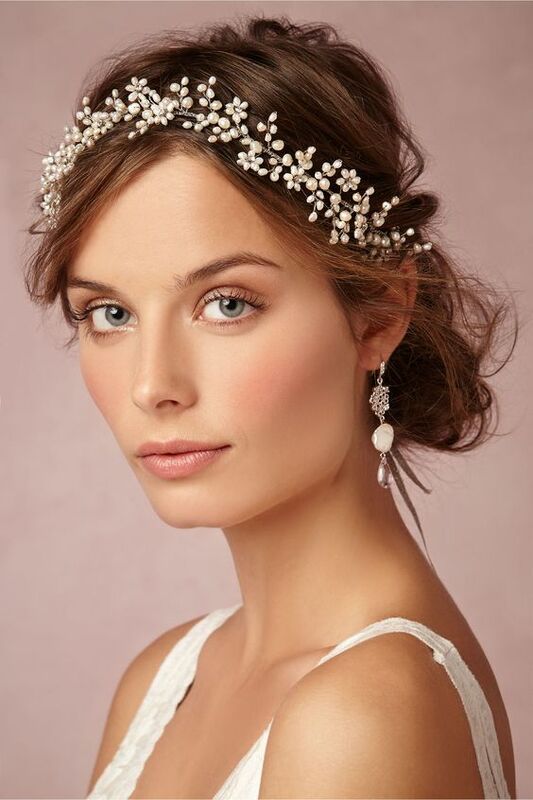 Delicate natural bridal makeup look finished off with the perfect accessories. Classic-style beaded lace and ottoman wedding dress with V-neckline and low back from the 2018 Rosa Clará Collection. 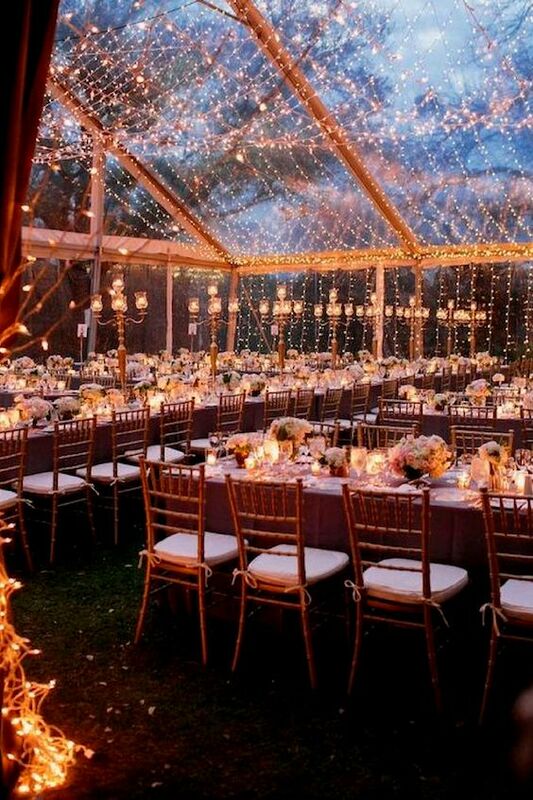 Clear tents & a view of the night sky are on trend for 2018. Romantic Gothic glam wedding. Vanilla Photography. Love the simplicity of the boho against moody colors trending in 2018. 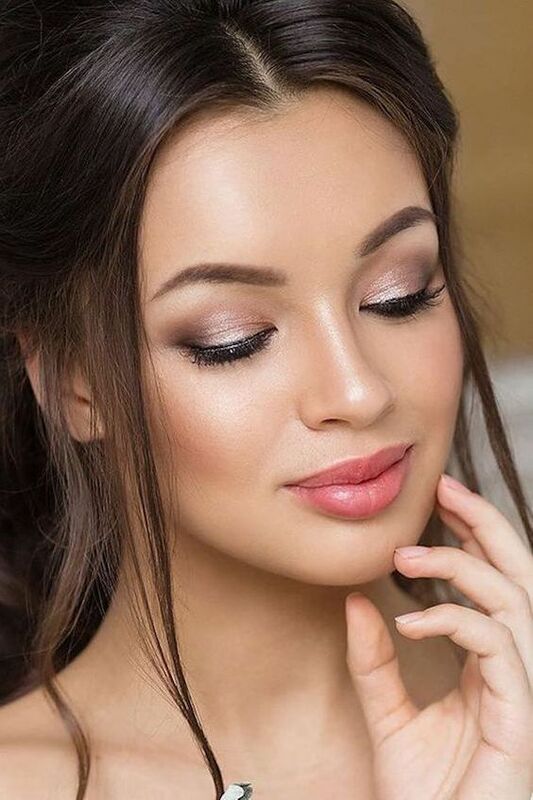 Natural bridal makeup is a great choice for an ultra romantic wedding. Luxurious wedding in Barvikha from The Studio decor in Moscow. 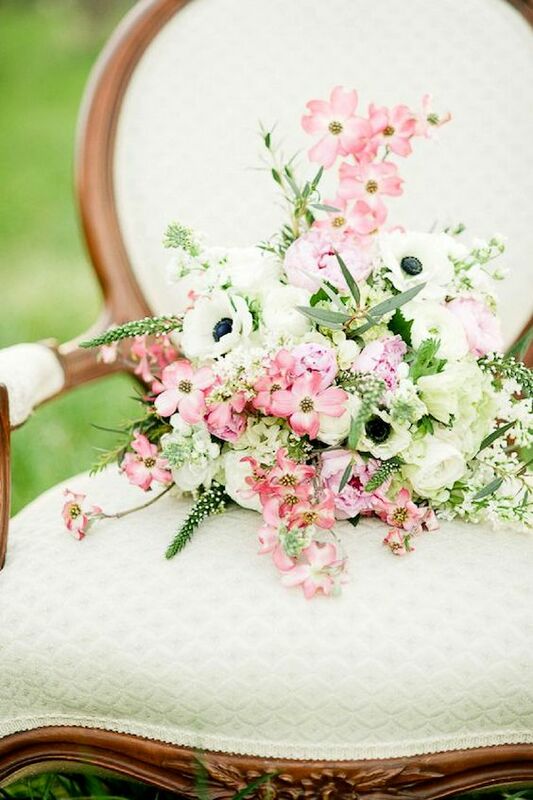 Dogwood flowers perfect for a vintage look. Gorgeous boho folk bridal look. Camille Marciano for Junophoto. Enchanted forest and romantic vintage call for a natural look. A garden where industrial meets romance. Kathryn Ivy Photo. 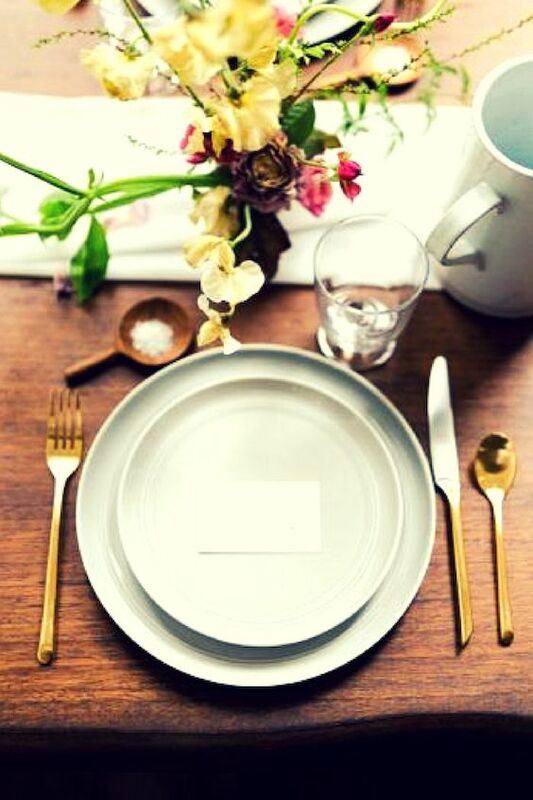 Minimalist wedding tablescape. Jen S Photography. Switch the simple rustic sign for a magnificent vintage frame. 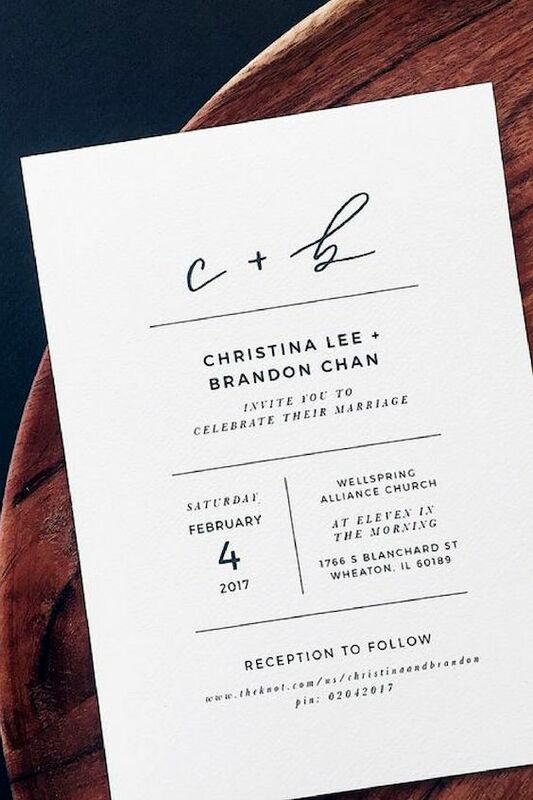 2018 wedding trends translate to the stationery. By Grace Niu. 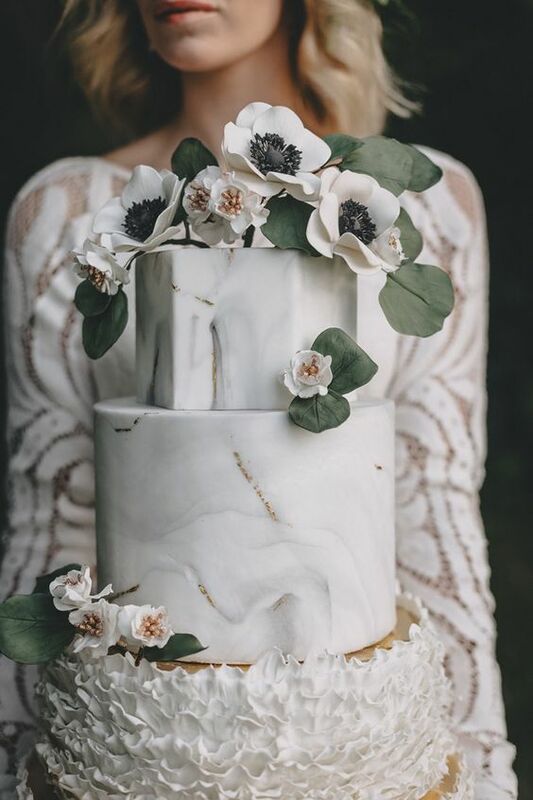 Stunning wedding cake with marble and eucalyptus leaves. 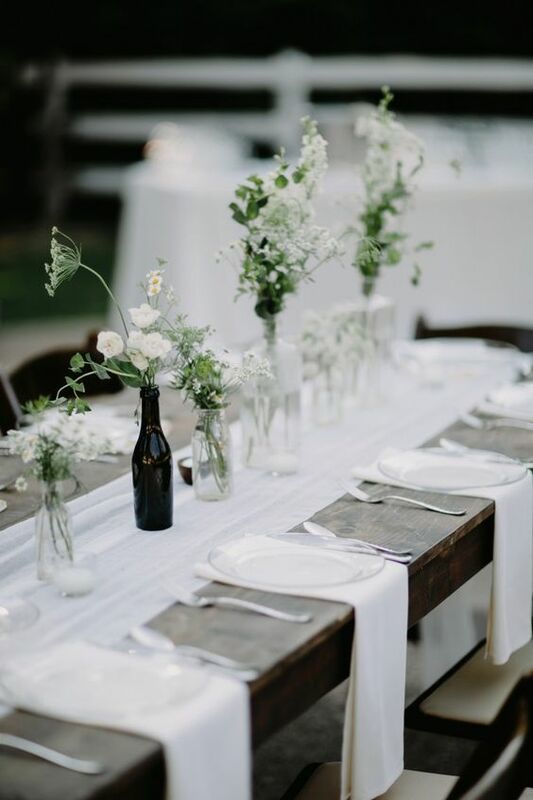 Rustic glam wedding table decor. Photography: Jenn Emerling. Interactivity is key at 2018 weddings. 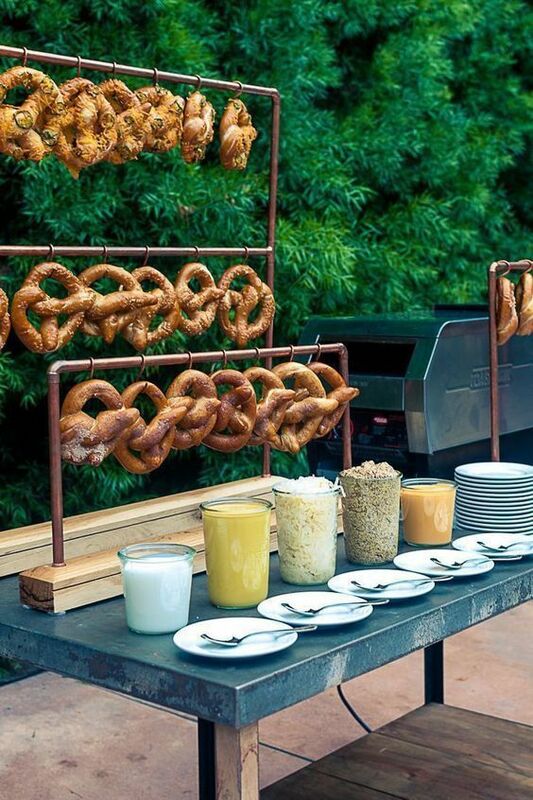 How about a pretzel bar? 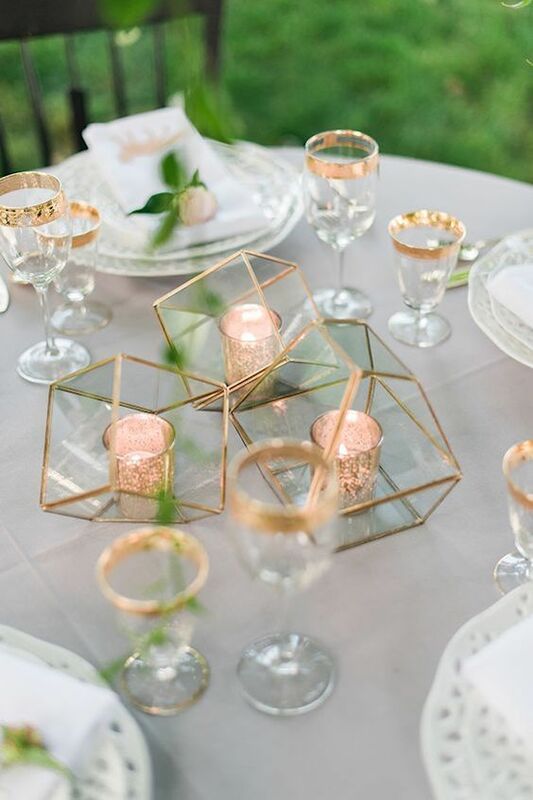 We hope you were able to pick an idea or two out from our fav 2018 wedding trends. Thank you for reading us, this year has been absolutely amazing with you by our side. Happy 2018!! Romantic flow sheath dress perfect for a 2018 woodland wedding. 12/16/17 /2 Comments/by Havi G.
That makes several of us! We love it too!! 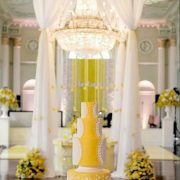 Guía Sencilla para Saber Como Elegir Donde Casarse Como Decorar La Mesa De Los Niños En Tu Boda ¡Ideas Fabulosas!